Here is day 1 from our big 2017 trip which covers our travels from Edmonton to Scotland. This was the beginning of the first personal trip we had taken overseas that did not involve work or our own wedding since 2008. We have been together 10 years, and since we rescued Bella we have taken all but one of our personal vacations in Canada or the US. After 5 years of building our business, working like crazy and sacrificing so much, we decided it was time to enjoy the fruits of our labours. 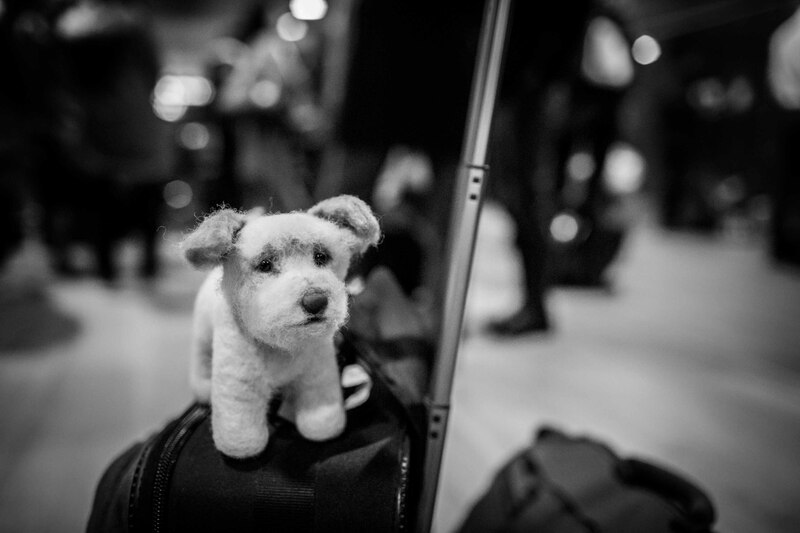 Even though we couldn’t bring Bella with us, thanks to one of our good friends, we were able to bring Travel Bella with us. 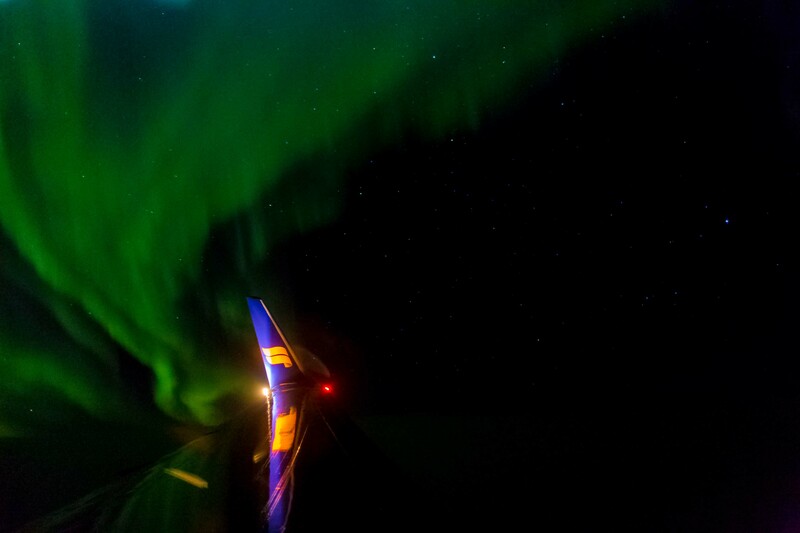 We booked our flights through Icelandair and could not have been happier with the first leg of our trip. 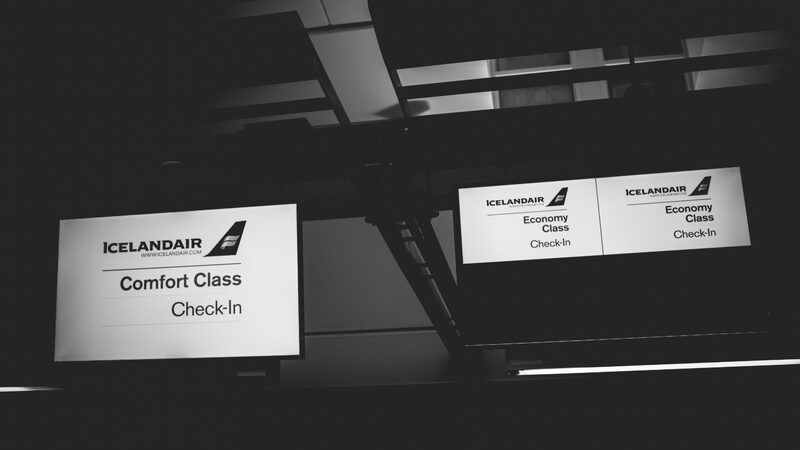 We booked our Iceland stopover for our trip back to Edmonton, so for the first leg of our trip we flew from Edmonton to Reykjavik with a quick 2 hour layover. After that we were on to London0-Gatwick. 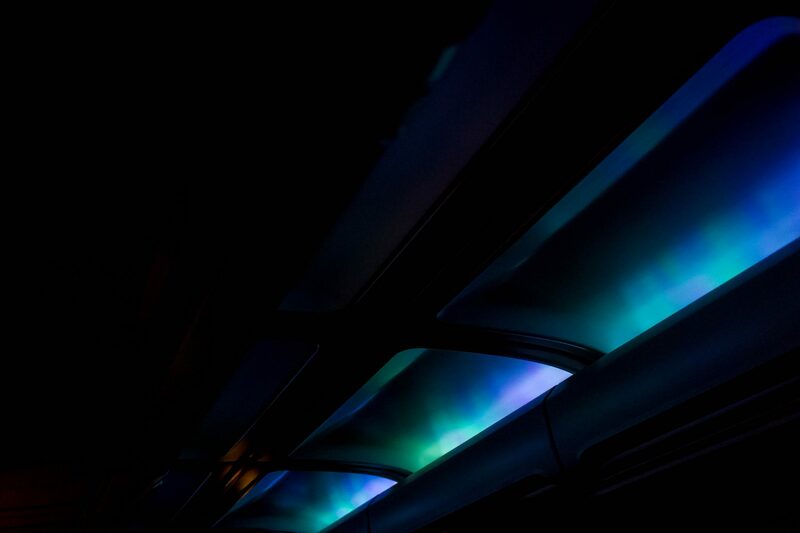 On the way to Iceland we managed to glimpse the northern lights dancing across the sky, and thanks to Icelandair’s fancy LED lights inside the cabin, we got a nice northern lights show inside the plane as well! We grabbed a quick bite to eat in Reykjavik before we flew out to Gatwick, which was only a 2.5 hour flight. 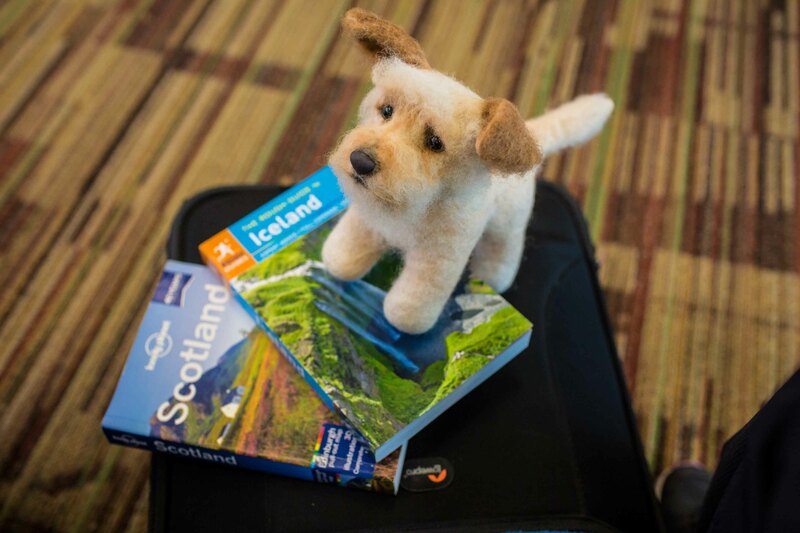 We were not sure how the weather would be, or how long it would take to get through customs and get our bags in Gatwick, so we decided to take the evening flight from Gatwick to Edinburgh, which ended up meaning we had an 8 hour layover at the Gatwick airport thanks to a delay in our EasyJet flight. 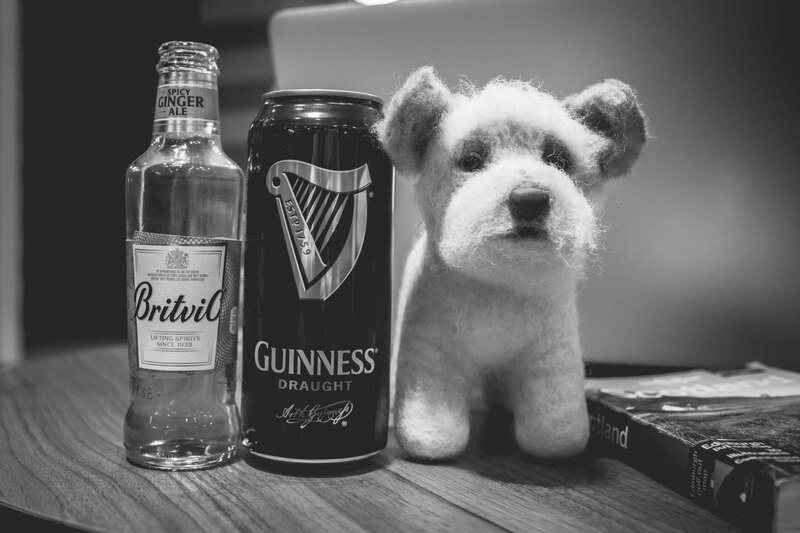 We ended up killing about 3 hours fairly easily going through customs, getting our bags and making our way to the North Terminal where we grabbed a coffee, some food and checked emails. 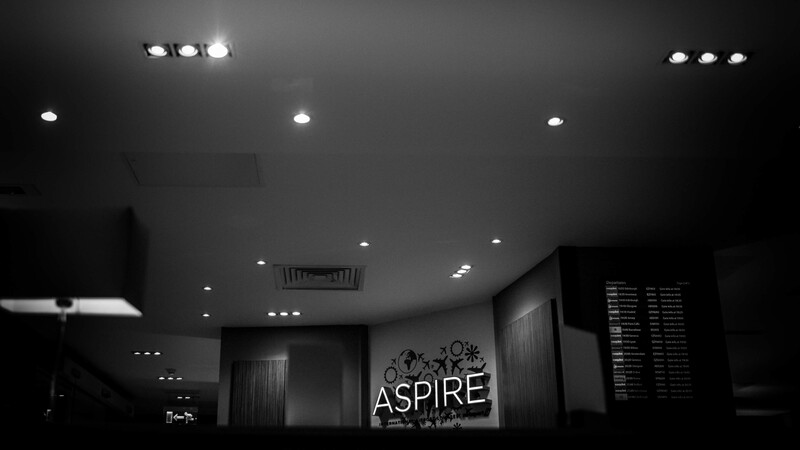 After that, we headed to the Aspire Lounge – which we had pre-booked prior to our trip to help with the layover. We spent a little over 3 hours there until we had to head to the gate for the final leg of our journey to Edinburgh. We finally landed in Edinburgh around 9:00pm – roughly 28 hours since the last time we had slept. We got to the Lairg Hotel shortly before 10 after taking a cheap taxi ride from the airport. We checked in, dropped our bags off and then immediately went for a walk to stretch our legs, grab a pint and have a quick snack. We finally got to bed around 11pm, ready to get some good rest before exploring the city the next day! 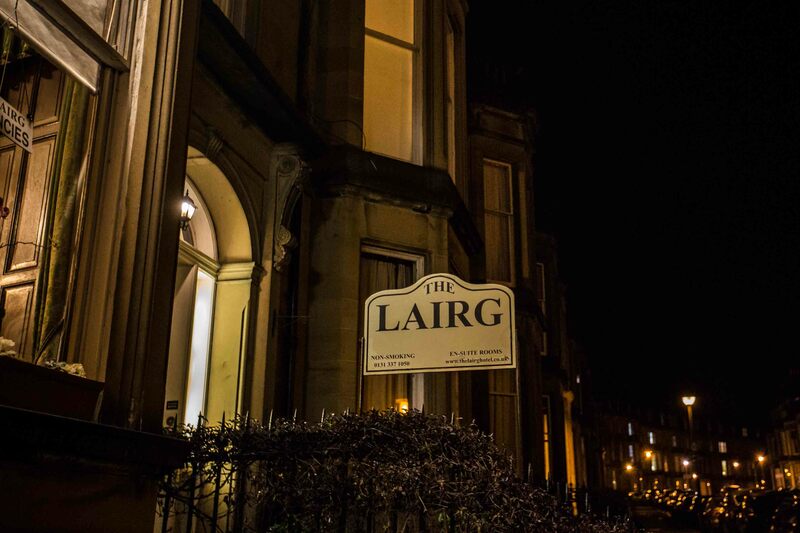 Great to see the Lairg Hotel in your post!